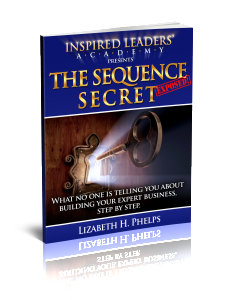 If you’ve had any trouble in your expert business, you'll find the explanation in The Sequence Secret. All you need to do is see how many steps you’ve missed, which ones you’ve missed--and with the Audio Tour, let my instruction get you back on-track! ...because far too many coaches, consultants, speakers and other experts have come to me battered and bruised after years of struggling in business. The first thing I do is get them on-course, doing the right things, in the right order. 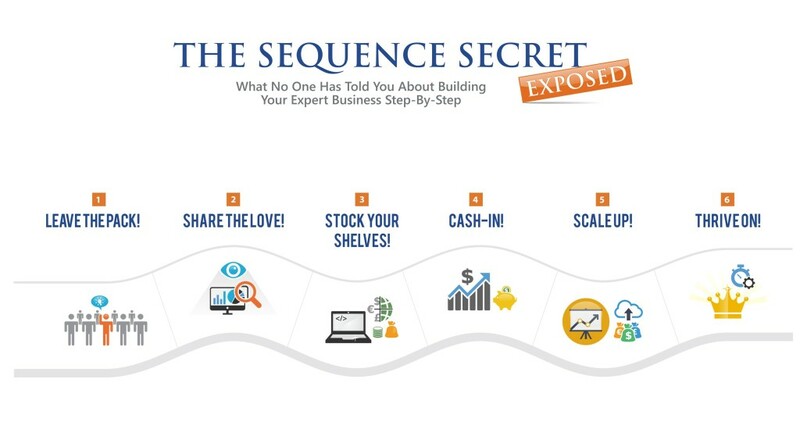 There are sequential steps to building a proper business. Skip a step = suffer. And 70+ Steps Within Those 6 Phases! 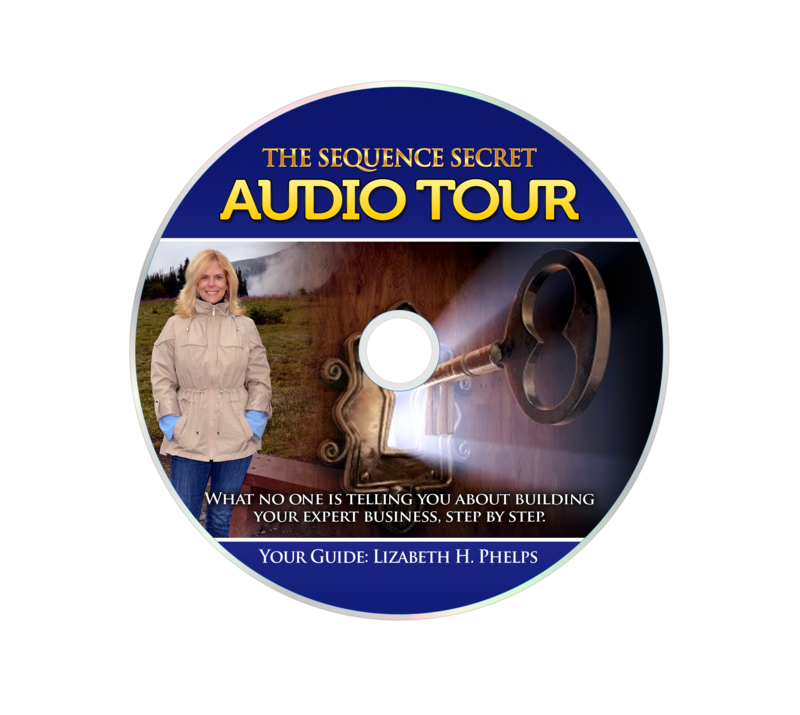 What's So Valuable About The Audio Tour? ...and on and on. I am there with inside secrets at every turn! I’m going to give you writing assignments to get you unstuck, to develop your target market, build your sales funnel, strategize your marketing funnel, write your most-important webpages. Wherever you need to do some applied thinking and strategy, I’ll have an exercise for you. My fierce motto is, “You cannot skip a step!” so to make sure you advance well to the next step, I’ll give you assignments to do before you return to the Tour. If you follow along with me, and let me be your real-time guide, this aspect of the Tour alone is easily worth 10x the investment. Imagine knowing which vendors to use—FIVERR? Elance? Which software is best, what subscriptions to buy…and countless other tips that come from 13 years in business! Nothing could be more valuable than steering clear of the deadly curves in the road ahead that no one tells you about--and that I know you won’t see coming. Think of me as your "traffic webcam," always seeing the problems you won't and telling you well in advance, so you never encounter them! Why Not Take a Spin? Just click on the arrows. Each one averages 3-5 steps per page. What's In Each of the 6 Phases/CD's? Composite-client "Kate" accompanies you through all phases. She comes to me with a pretty weak business idea and you will watch her business transform as we progress--alongside yours! With her, you will wipe vital "to-do" tasks off your plate. First and foremost, this is a GET-IT-DONE program! And it comes with "liner notes," as well, for some of the challenging written exercises. what each CD has in store for you! You must present to the market *one* thing you do. You must specialize. I give you an instant way to streamline your possibilities and determine this clearly so you can move to step 2. You get my proprietary exercise for determining your target market, plus LOTS of creative tips to solidify this essential step. This track alone is worth your investment! You must determine the gap in the marketplace so you can fill it. I give you a proprietary exercise so you can go “mining for the gold" and locate what isn’t being offered out there. Next, you develop your Sling-Shot Solution–your solution to the gap–in a single sentence. Use my 3-prong thinking-device to isolate how you can be “urgently wanted"–the essential key to being marketable–and articulate, in a single sentence, what is essential about your work! If you can’t articulate “your proprietary process," you don’t yet know what you do. If you don’t have a process, you’re not marketable. After this step, you will be! As an expert, there is one type of message you MUST have. I help you craft it, so you step out there with a message that works. You will leave this step with a full paragraph that cogently articulates who you are! In this step, we develop your “ascension" business model. (A “must.") It’s the way to build a successful business. FInally, you package all the previous steps into a compelling “brand." I give shoot-from-the-hip do-and-don’t-advice on names and developing your important tag line–and you GET IT DONE. 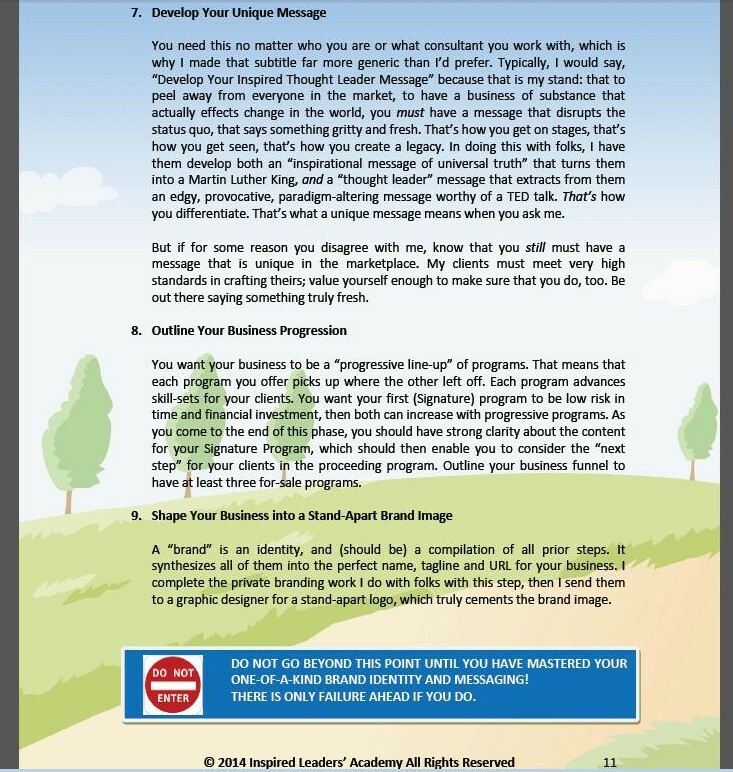 You can only arrive here after having doing all of the other steps right, but once you have, you will be AMAZED at the business identity and structure you’ve developed from a series of “stacking" exercises! Learn how to use (and choose) a contact management system–and then get yours! Hear insider tips on choosing graphic designers–then hire yours! Learn how to structure your social media profile, using your new messaging–and get it done. Get best-practices for free optin-gift creation. And then create yours! Receive lots of tips on squeeze/landing pages, webforms and other single-pages you need now–and get your free optin squeeze page developed! Hear advice on constructing the promotional pieces you need in both on- and off-line marketing–and GET YOURS DONE! PLUS so much more! Here, you get your early marketing done in real-time with me–so the phases to come work! Get taken through a critical-thinking process for developing a program. Use my proprietary curriculum-design template to get your free talk outlined in real-time with me. 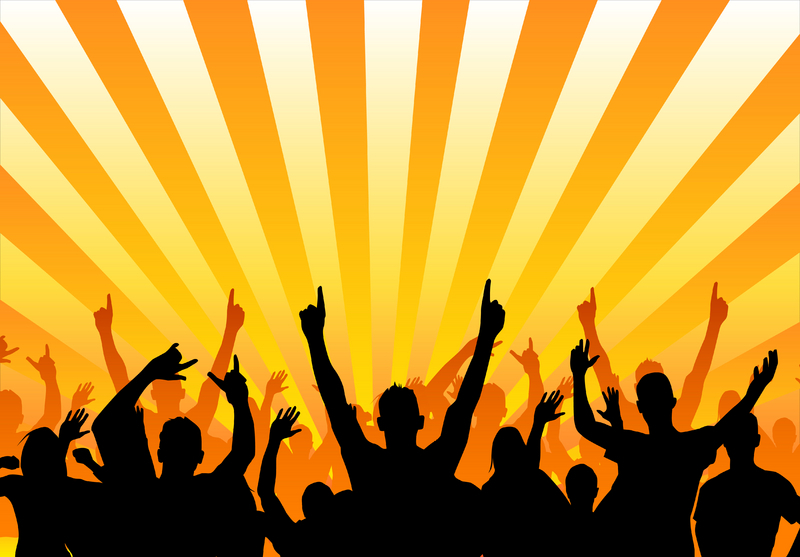 Get advice on the best venues for your free event–then get your venue. 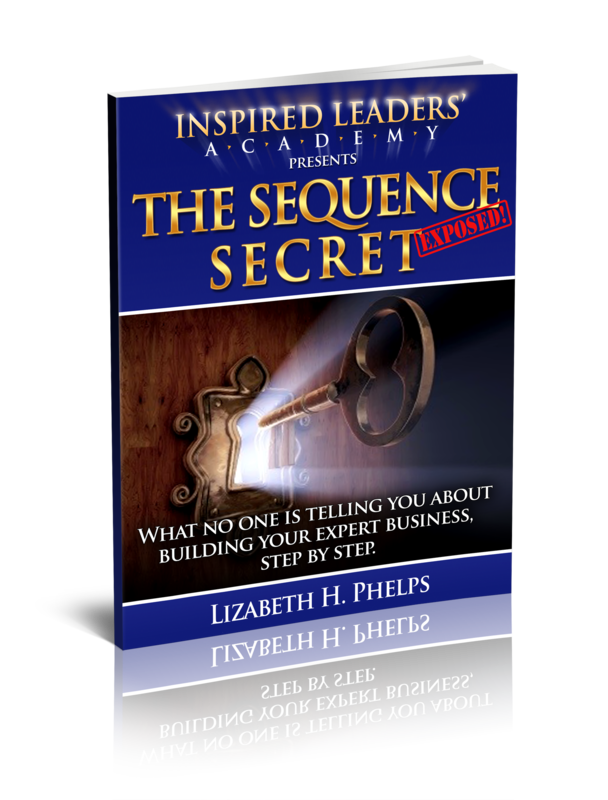 Receive a sequence for crafting your “personal story," which you must tell at your free event–and get it completed! Learn tips on selling your Signature program at the end of your free event. Do the math! 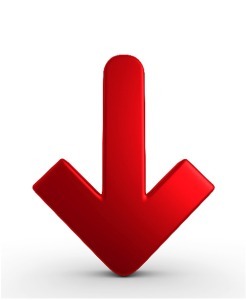 This is when you see how many leads you need to fulfill your sales projections for any given year. Willful blindness about this only hurts you. See yourself! Get your free event on the calendar, as well as your promotional schedule and joint-venture relationship-building. Only when it’s on the calendar, will you get it done! Get tips on headers and other technology know-how you’ll need to launch your money-maker–and get those nagging details off your plate!. 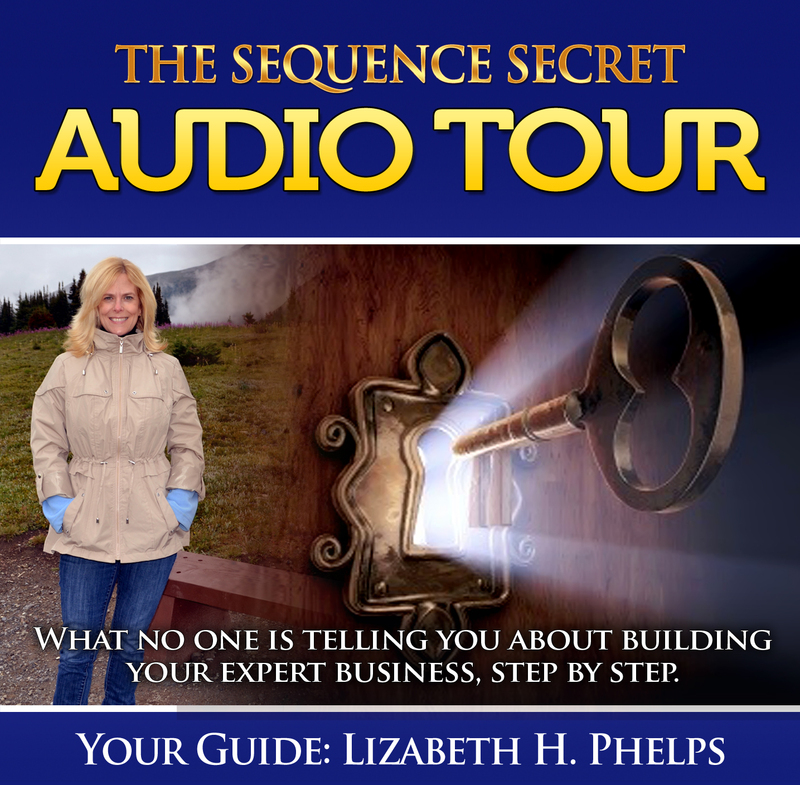 Remember, the GET IT DONE aspect of this Audio Tour is what makes it priceless! 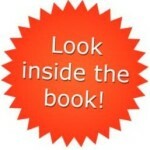 Get lots of technical guidance for the web pages you will need to launch your programs. Learn the content-differences between the free-talk registration page and your signature program sales page–and get them made! Hear key copywriting advice (and use a template I provide)–to get the copy for your free opt-in page DONE! Get organic-traffic tips and straight-shooter advice on its effectiveness–and get yours started! 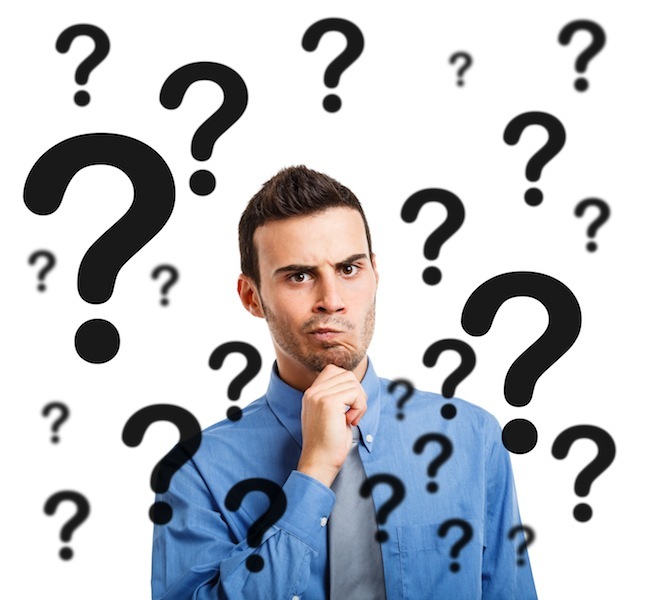 Get advertising advice–should you or shouldn’t you? Learn about the intricacies of email sequencing: what to say, when! And get yours written. Careen around all-too-common ditches that derail many experts in this phase! PLUS so much more. The best part is having me right there, motivating you to get through the tough spots and get-it-done! Marketing may not be your favorite part of business, but you can’t have one without it. I take you methodically through the steps, so you can’t fall through the cracks! Perfect your free event. What needs to be changed? Use the checklist I provide for you. Get detailed advice on best elements for your website–which you only need now! And get yours done! Start your blog, if you haven’t already. Get your first low-dollar product created. Get the squeeze page created for it. Perfect your money-maker. What needs to be changed? 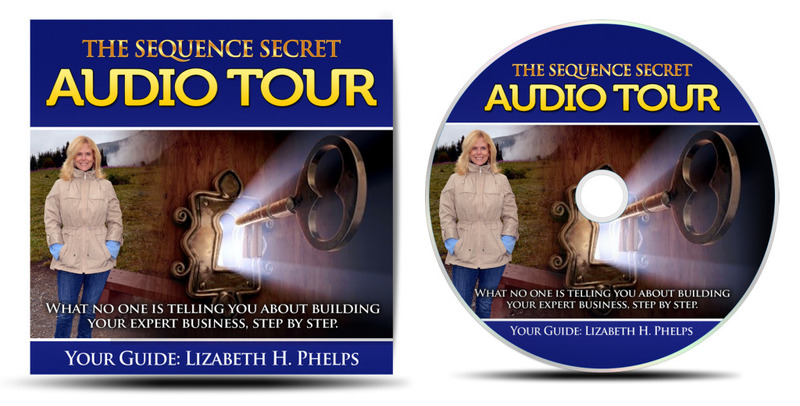 PLUS hear countless insider do’s and don’ts as I bring 13 years of business to your doorstep. 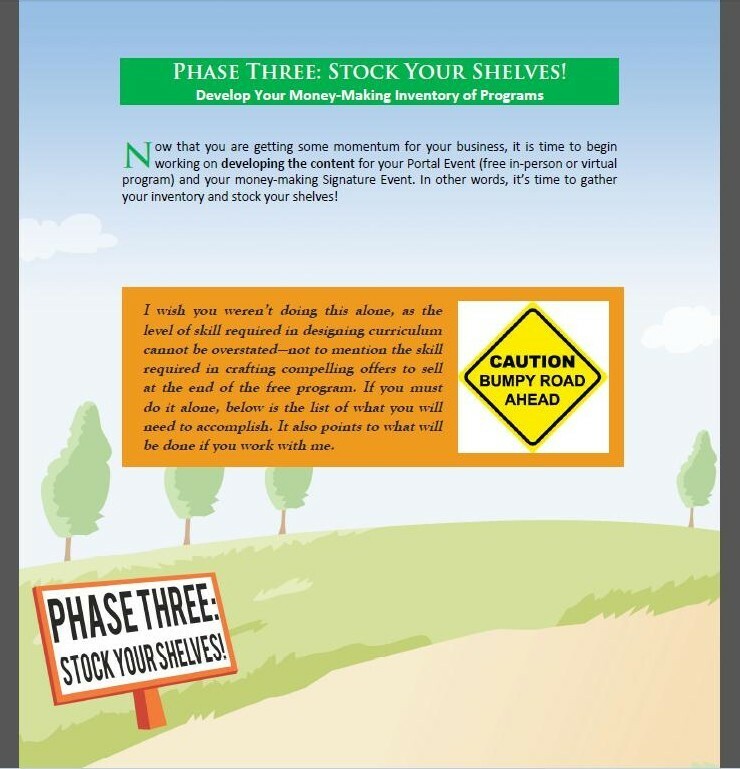 After successfully completing all the other phases, you will be grateful for the reminder in this 6th CD that business requires daily effort: creating new products, new programs, new funnels, building relationships, testing (! )–and learning. NOW you can listen to all the marketers urging you to learn from them. You didn’t need them before–but now you do!In this CD and PDF, I cover (in order) thenext 13 business areas you need to get help in or become skilled in. In business, it’s worth realizing that you never “arrive." Like Life, success is not a destination; it’s a journey. And one you’ll be soglad you began! I'm Bringing My Laser Skills With Them Into These CD's! Lizabeth's mind is swift and concise, practical and concrete. And she will never hesitate to go the distance to serve and do the job in the best possible form that she can–and she can, believe me! Lizabeth is amazing at asking the perfect questions to challenge and get you to dig into your own truth. 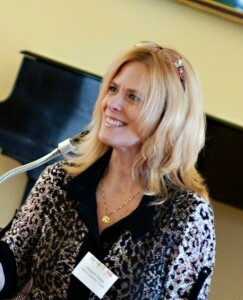 She is inspiring, creative and extremely intuitive! Lizabeth led me through a methodical examination of my unique skills and how to articulate the value to a client of the offering we developed together. It was priceless! If you're confused by all the possibilities in front of you, believe me, Lizabeth will set you straight! Lizabeth's branding program is very thorough and rigorously detailed to develop your brand as well as a conceptually tight and marketable program. I would strongly recommend her process for anyone developing any type of expert business. A business with a clear identity, purpose and message. A progressive-line-up of services--i.e. a real business! Marketable programs that your market WANTS! The right marketing strategies and funnels in place. A Rolodex of referral partners who will serve you for the duration of your business. Control! You will never be taken off-course unless you let it happen. Empowerment! 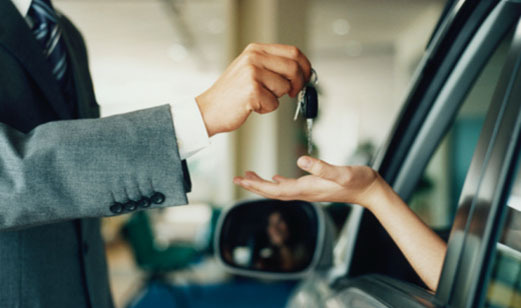 You will have vivid, crystal clarity about the sequence of business and forever be in the driver's seat! What's That Worth to You?? Oh, But Wait! Don't Listen to Audio? Not Enough Time? Not Ready to Build Your Business Yet? Can't Justify Even This Price? Not Sure You Need All the Phases? Don't think you'll have time to listen to 8 hours of business advice? The thing is, you're not "listening"--you're getting your business built. If you can't find 8 hours for that, you'll spend countless more picking up the mess. ALSO--these can be downloaded on 2 different devices. So, walk your dog, stroll the beach, hike in the woods, while you listen on one device--and then get-it-done with another device. This really is going to be your best friend. If you don't listen to audio much, let this be the exception! I've got extensive experience in brain-based learning. There really is no such thing as an auditory/visual/kinesthetic learning-type. All of us learn ALL 3 ways. As long as you include other learning styles with listening to this series (you write, for instance, and do all exercises I give you), you'll find this an easy, fun and enjoyable way to learn. Not quite ready to build your business? Let's look at it this way. You will be ready one day. And you will want this. And the price will not be $297 then. And you won't get these bonuses. So, even if you *think* you're not ready--you should be in this conversation now, before you begin. And trust me, after listening to all of my tips, advice and guidance...you'll be ready! Not in your current budget? You can pay in 2 installments of $174. And against the tens of thousands of $$ you are SAVING, this is a true value. Don't Need All the Phases? Maybe you've done The Powerhouse Method with me and don't need Phase 1? Or feel you have your brand and message? Maybe you've completed a lot of Phase 2 already? At this special price, you can skip 1 or 2 phases and still be getting an incredible deal. And with the bonuses? It's an amazing deal. There! There is not one possible other excuse you could have! Summary: What You Are Getting One More Time! Once you get them, download them to your computer and begin building your business right away! What CD is complete without liner notes? Specifically, these are exercises I go through on the CD’s and you will need to work out in writing. You’ll be so glad you have these! 3 Special Bonuses Valued at $547! But only until Thursday, January 29 at 11:59pmEST. I want to make it as easy as possible for you to have this resource so you can successfully navigate his very challenging journey--and I hope a 50% discount does that for you! PLUS 3 BONUSES VALUED AT $650! 40-Minute PRIVATE Instructional Session With Me Redeemable During ANY Phase. Schedule yours today even! $300 Discount Voucher to My 2015 Live Fall Retreat! 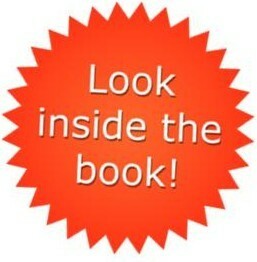 Inside the Inner Vault Swap Files--Yours FREE! If you do not get value from this series, I don't want your money.